Explore the work of 16 varied artists and makers in and around Jan's studio, 3 acre meadow and woodland path. 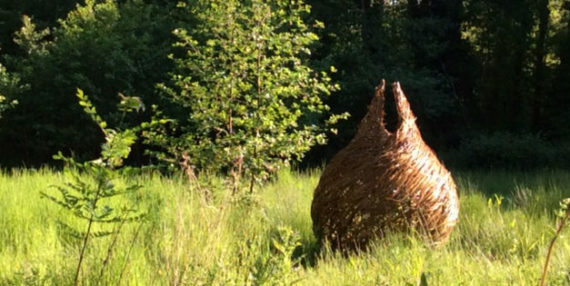 Situated in the Hampshire countryside, Art in the Garden features the work of 16 artists and makers working in an assortment of mediums including ceramics, glass, metal, willow, stone, wood, painting and photography. The work will be displayed around the 3 acre meadow, in the surrounding woodland and in Jan’s studio. Art in the Garden also features the Little Forest Land Art team. Artists working directly in the environment, creating work with natural materials. We will also unveil the artwork produced by Abigail Day, the winner of our first Boarhunt 4th Plinth Competition.